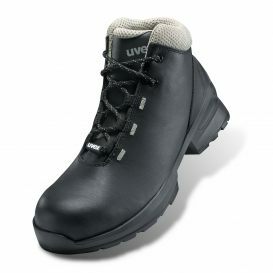 uvex 1 safety shoes and boots combine innovative safety footwear technologies with modern and functional design. 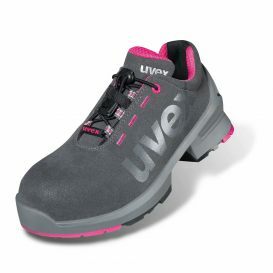 The lightweight uvex 1 design protects and supports the natural movement of the human body. Winner of the Red Dot Design Award 2013, the uvex 1 footwear range for men and women is available in S1, S2 and S3 categories. 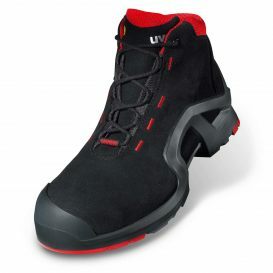 Our uvex 1 range of safety footwear provides a revolutionary level of performance in terms of weight, dynamic shock absorption, stability, upper design, fit and climate control. 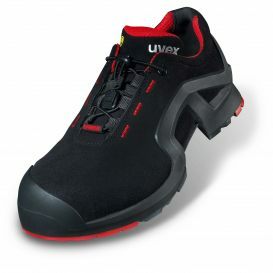 This has made uvex 1 the fastest growing and most popular safety shoes in our company‘s history. A lower weight reduces the strain on the body and also reduces risk of injury and wear. 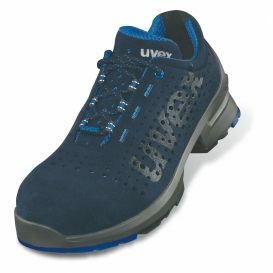 The lightest uvex shoe in its class, it is approximately 100g lighter than the uvex motion style trainer. 100% more shock absorption. Comfort in 3 dimensions. 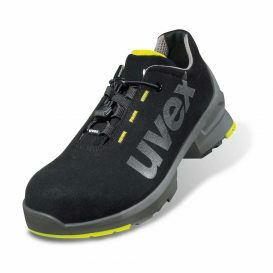 Multilayer shock absorption system comprising a double-layered uvex 1 PU outsole and comfort insole with optimum shock absorption in the heel and the front of the foot helps protect the musculoskeletal system. Outstanding stability. 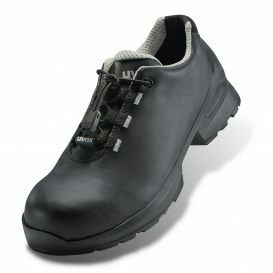 Reliable support and safety. 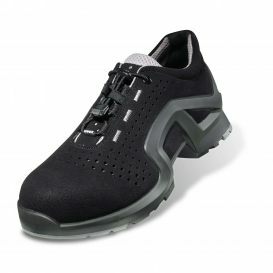 External visible heel basket integrated in the sole ensures stability and sure-footedness. 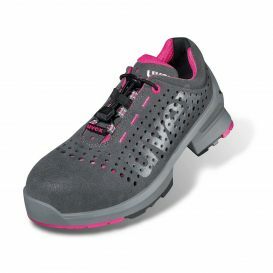 The ‘x-tended’ support model offers additional sideways support and protection against ankle twisting. 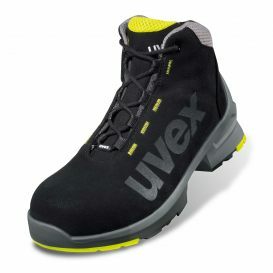 uvex monoskin shaft design. Pressure-free, comfortable fit. 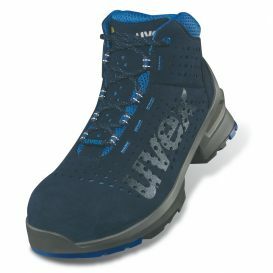 The completely metal-free uvex monoskin upper shaft made from hightech microfibre ensures outstanding wearer comfort without pressure points.